A new executive order requires that fire consultants in the future must be certified. Ramboll adds yet another service to their palette of services and are now an official certification body. The Danish system for maintaining high fire safety is being formalized and strengthened. According to the Building Regulations 2018, a certified fire consultant must be used to document and verify compliance within fire requirements, so that the chosen solution meets these regulations. This will phase out the municipal processing of building permit applications, as we know it today and be replaced by the end of 2019 by the new certification scheme, "Executive Order on Certification Scheme for Documentation of Technical Conditions in Building Regulations". It is already possible to choose to use certified Fire Consultants and the Danish Accreditation Fund, DANAK, has just accred-ited Ramboll to certify Fire Consultants. "In practice, this means that architects, contractors, consultants, etc. need their employees to be certified now, in order to be able to respond to the market and the significant increasing demand for certified Fire Consultants. We have extensive experience in fire consultancy, so the decision to apply as a certifying body, was not a hard one”, says Susanne Wrist-Jensen, Head of Certification, Ramboll, that will manage the certifications. The first requests have already been received. 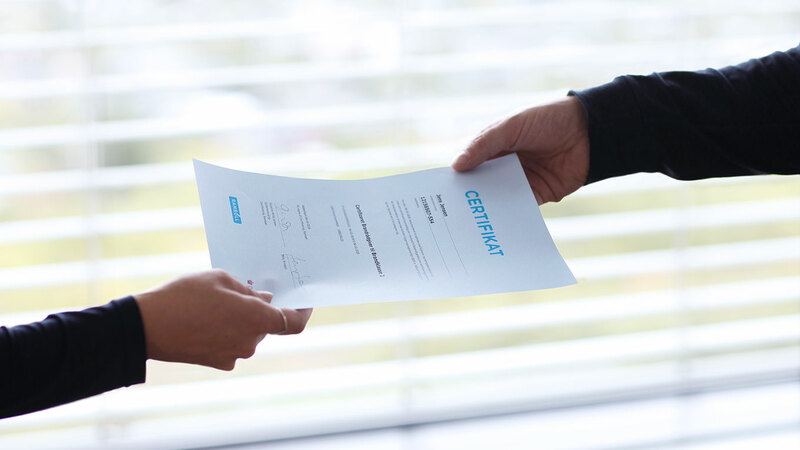 At Ramboll, Fire Consultants can be certified within various fire classes or to carry out third-party control, depending on their qualifications and compe-tencies. "A smooth certification process is important for us. Our applicants must experience a simple and quick process with competent auditors. Nothing that demands time-consuming and expensive courses. We focus on the certification itself and ensure high quality during the process. Further-more, with our local presences in 13 cities, this means that we can offer flexibility so that tests and project presentations can take place where it is optimal for the applicant", says Susanne Wrist-Jensen. Ramboll's own Fire Consultants are also to be certified. Their certification will however be taken with an external provider to avoid impartiality.